NEW! FRONT: How we long for the day when no one will say, "I am sick"! 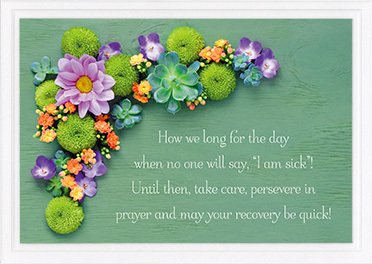 Until then, take care, persevere in prayer and may your recovery be quick! INSIDE: Thinking of you.